Market Elite is a full service real estate brokerage established in 2012 by Jason Minnick. 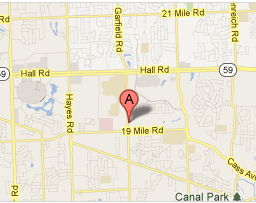 Headquartered in Clinton Township MI, Market Elite services Metro Detroit and the surrounding areas. Market Elite was founded on infinite market knowledge, professional and personal integrity, and a dedication towards your personal satisfaction. It is our belief that every client is entitled to the highest quality of professional representation. At Market Elite it is our never ending quest to exceed our clients expectations on every level. Clear communication, sound advice, aggressive negotiating, and the utmost level of professionalism are the cornerstone of our business model. Market Elite is ready and waiting to serve you!